Once you get into the creation of a new website, for any purpose, you gradually start developing a parent-like attitude towards it. Thus, you nurture it to make sure everything works fine, and caress it so that it becomes a decent part of a big Internet crowd. Naturally, each parent wants to clothe their child in something comfortable, yet good-looking. Hence, it is not uncommon if you want to find the best attire for your website as well – and this can only be achieved by selecting the perfect theme. This is why we decided to create this article – think of it as a clothing store brochure, designed to guide you through the best products on the market this month. So, let’s cut the small talk and take a look at which themes were rated as best in September 2014. Spacious is a theme that has deliberately been created to avoid the feeling of overcrowdedness. This multipurpose responsive theme was developed with concern about the users’ needs and care about their comfort. Spacious has a wide spectrum of spheres it can be applied in, including portfolio, business, blogging and anything else that may seem appropriate to you. Clean and airy, this theme also represents the professionalism of the developers by providing users with a set of practical features, such as 6 page templates, 4 page layouts, 5 custom widgets for the business template, 13 widget areas, dark and light color scheme, primary color option that you can adjust to look harmonious with your website and logo, slider, boxed and wide layout and more. Spacious has already been translated into a number of languages, and, since it is translation-ready, you will hardly face any problems if you decide to translate it into the language that is not on the list. Sketchpad will transform your website into a stylish and presentable jotter – a perfect home for your ideas, experience, thoughts or best practices. This theme’s unique layout and eye-pleasing color scheme combined with the top-notch functionality create an all-in-one solution to making your website a strong competitor on the business arena. Sketchpad will transcend the elegance of notetaking to your website, preserving that particular sophistication one experiences when scribbling down in the notepad, yet adapting it to the reality of today. As a result, your visitors will be able to enjoy a polished and unintrusive interface that will complement your content accordingly. Also, Sketchpad comes packed with a set of useful features, each adjusted to match various purposes, which include business news, morning news, business ideas, case studies, journalist reviews, event reviews, book stores, book reviews, personal opinion blogs, cuisine etc. Apart from that, this theme is translation-ready, so if you speak any language other than English, you can easily change the language of Sketchpad. 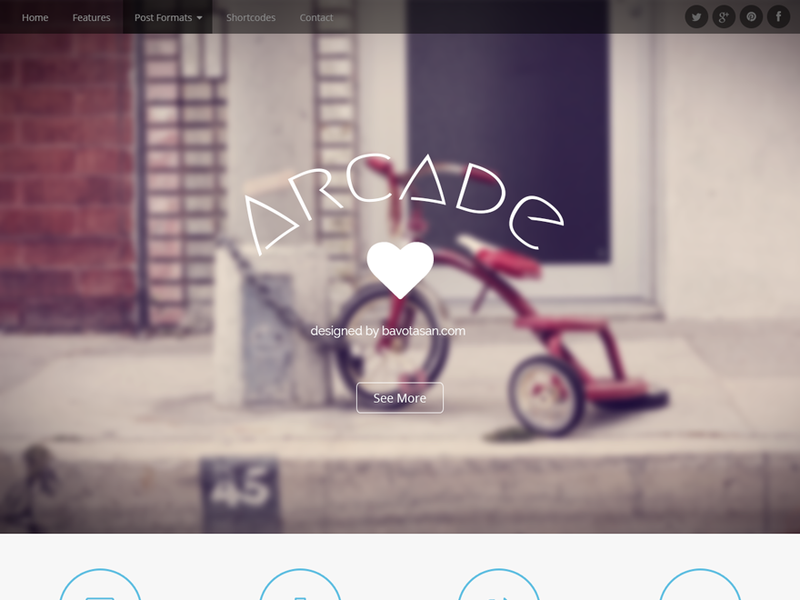 Arcade Basic can be compared to Lego bricks – with this responsive and lightweight HTML5 theme, you can build your website’s look from the ground up. You can do so using the theme customizer, which will let you add custom header image, as well as adjust the page layout, site width etc. Arcade Basic supports eight post formats, among which Image, Audio, Video, Link, Quote, Gallery, Status and Aside. If you want your galleries displayed through a tiled view and jQuery carousel, you need to install JetPack. This will not only make your website more attractive for visitors – it will also help them navigate through your content. What is also noteworthy, this theme is compatible with bbPress and BuddyPress, which is a bonus for the fans of this software. Created with the halp of Compass, Bootstrap 3 and SASS, Arcade Basic has Google Fonts implemented, so that it is displayed perfectly on all devices, be it smartphones, tablets or PCs. Hathor is a flexible and stylish solution for those, who want to add a modern look to their website. 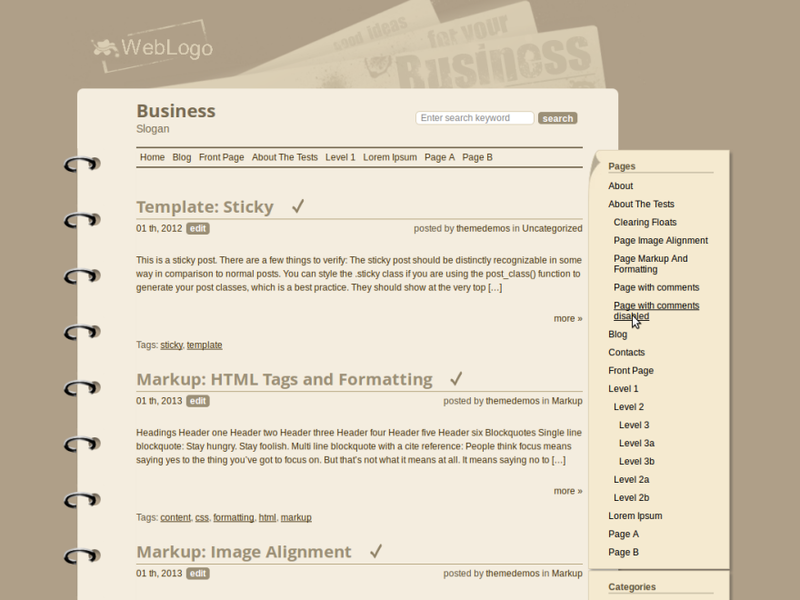 Although seemingly complicated, this feature-rich theme is, in fact, really easy to master and customize. You can bring your site to your own vision of perfection in just a few minutes by adjusting the colors, style and layout to match your purposes. Also, you can upload your logo – a symbolic autograph for users to remember. Hathor has been created SEO-friendly, so it will cause no conflicts with the promotion of your website. With 2 Service Block styles, full width, 2 header styles, 2 latest posts layouts, box option and translation-ready, this theme reveals its flexibility and user-friendliness, thus proving appropriate for various purposes that may require different structural organization of the page. These include blogs, portfolios, magazines, business or creative websites. Moreover, Hathor theme is fully responsive, so it fits all of the most popular tablets and handheld devices, while also being displayed adequately on PCs. If you are charmed by the multipurpose professional theme Minamaze Pro, yet you do not consider it worth the money, there is a free version you can as well enjoy. Minamaze has been specifically designed to comply with the requirements of blog or business website owners, so that its complex of features has been made appropriate for these purposes. 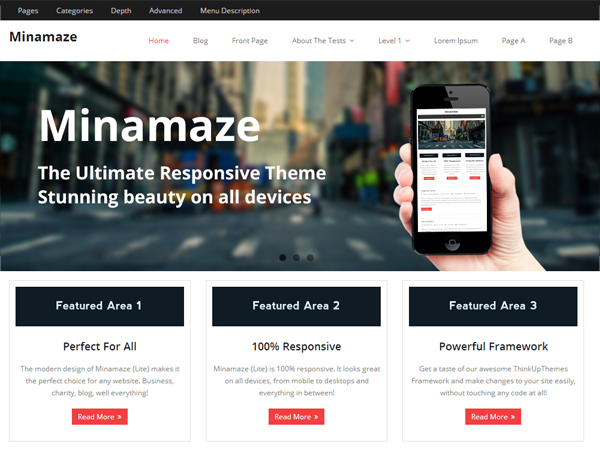 For this matter, Minamaze has a responsive layout, so that your website can be accessed from mobile devices and tablets without any problems. Also, this theme is retina ready. At the same time, Minamaze is packed with a powerful theme options panel, so to make changes to your website’s look, you won’t have to touch a string of code. 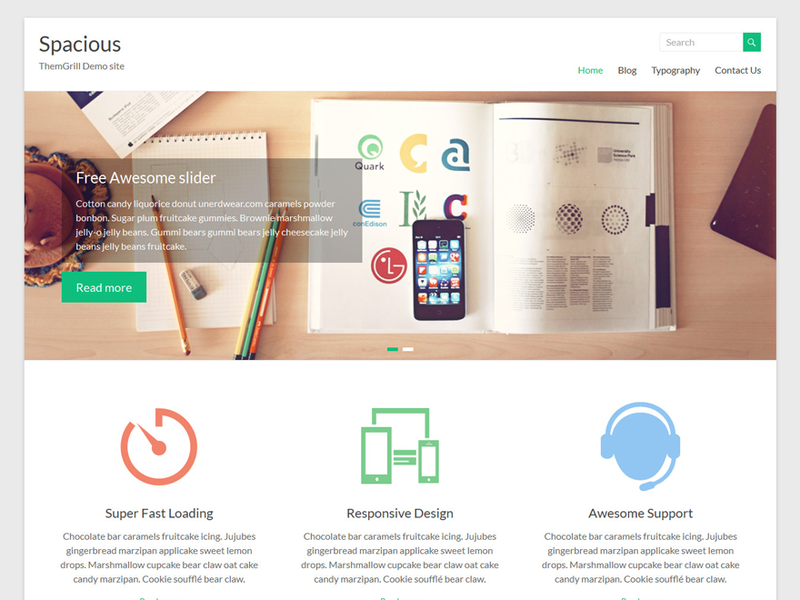 A full width and easy-to-use slider, in its turn, contributes to this theme’s popularity among users. To top it off, Minamaze lets you use a built-in homepage layout and add a logo to create an appealing homepage. 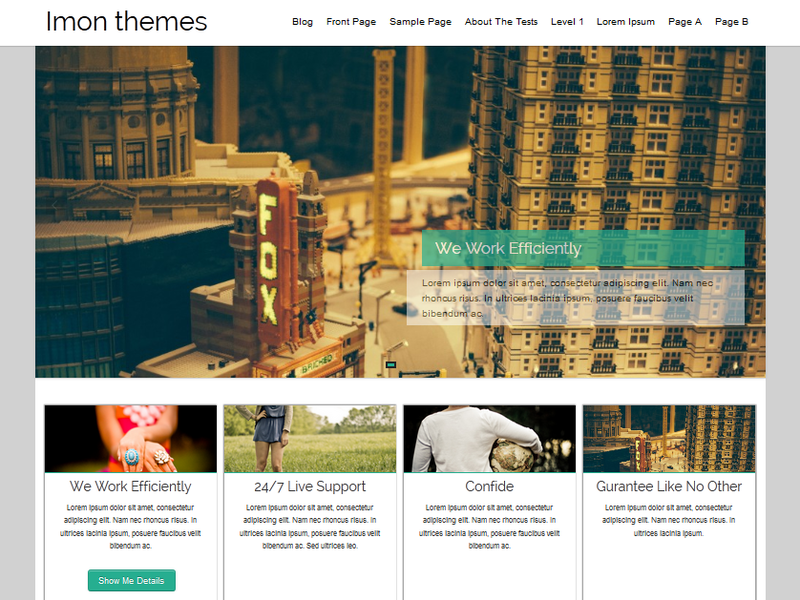 These are the top free themes of September – in our opinion, of course. Hopefully, one of these can become the perfect one for your website or, at least, will give you an idea what kind of theme will look good on the website of yours. So far I’ve used Minamaze on two sites and absolutely love it. As an entrepreneur who is not a professional web designer or graphic artist, Minamaze gives me the ability to create a kick-a$$ site and tons of support to do it with.